I agree.This design should have 5 stars. Nice clean cursor IGP.. it seems I have alot of your cursors in my library, thanks for sharing and keep up the great work!! THE Halloween cursor we've been waiting for - 5 STARS! THX so much! 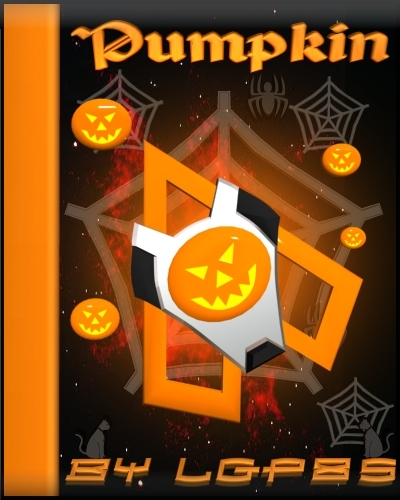 I'm not getting the pumpkin cursor when I download it. I would really like to get it. Nevermind....I'm not in my right mind today. I had color enabled and it didn't look like a pumpkin. Sorry! GREAT cursor! Absolutley fantastic. I love the design & animations. really funny . I like it . This is a very cool cursor! Great job! Thanks for sharing! Have you any plans to make a Christmas cursor? If so, that would be great. When you save the file, name it like this: Pumpkin.curxptheme. Then you will only need to double-click the theme file to install. Hope this helps. a Christmas cursor isn't in my plans. my cursors are ideas that arise suddenly. although I will keep it in mind.